Each fan has 2 speeds and up to a 90 degree pivot. A total of 4 air flow settings - 2 Per Fan. Removable Grilles for Easy Cleaning. 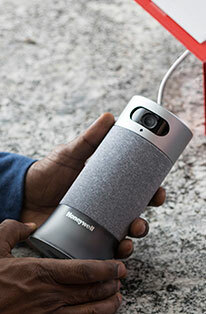 The Honeywell 2-in-1 Air Circulator Fan utilizes two independently operating fans that are fully capable of cooling small to large areas of space. 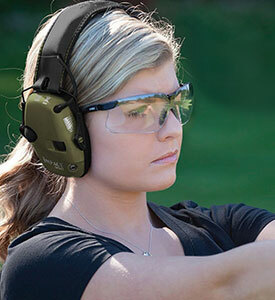 The intuitive design of the HT-9700 allows for a truly customizable experience. Both fans can be maneuvered in a 90 degree pivot and feature two separate speeds. Superior technology has also allowed for a decrease in sound. 30% quieter than rivaling fans, the HT-9700 is a highly efficient unit that operates quietly while delivering a first rate cooling experience. Save on your overall energy expenses by rotating the HT-9700 in place of your air conditioning unit. 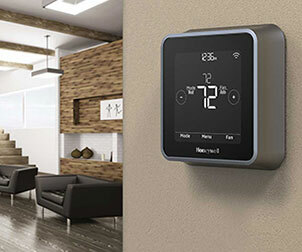 The latest installment of Honeywell's highly intuitive collection of cooling options is an experience that shouldn't be missed. I really like this fan. I wanted one that had two fans that swiveled, but when I received this one and found that the whole unit tilted, as well as the top fan swiveling, I was completely satisfied. It will cool my kitchen exactly the way I wanted. Plus, after my fan was delivered to a wrong address by the carrier, the agent I spoke to on the phone replaced it immediately. Wonderful customer service. This fan circulates a lot of air and is very quiet. We use it indoors as well as outside to keep mosquitoes away. Whisper quiet, moves a lot of air. Can adjust the two fans to blow different directions. Very nice. Being used in an exercise facility where the stretch rooms get stagnant and tend to smell. These fans really help keep it smelling nicer by better air circulation!! Love Honeywell products! 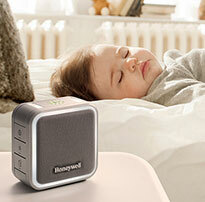 We are very pleased with the Honeywell HT-9700 2 in 1 air circulator fan. Being able to direct air in 2 directions is great! Am looking forward to being able to push AC air from a window unit in one room to another AS WELL AS using it without AC being involved. TO ROBERTA DILLON...This is probably a little late, but if you work nights, I know how serious sleep is. The last 15 years of my career, I worked the night shift. I solved my day time noise problem by purchasing a window unit air conditioner and ran it all year round. In the winter, the fan was enough noise, but on some bad noise days, I would run my heat and the air on the window unit...Such sleep, you have never had during the day!!! Purchase of two fans recently purchased. I ordered these fans for thw noise blocking factor.I had purchased this same configured fan from Walmart approx, 3-4 years ago and they blocked noise very well My son and I sleep in tyhe day, so it is important that the noise from the fan be loud enough nto cover outside noise. We havent used the fans and are going to return them. If you have a resolution for our problem, please let me know, as I would like to find the same fan you made several years back, in same style, but more noise. We are sorry you are unhappy with your purchase. You can call First Alert direct at 1-800-323-9005 and they can direct you to a better fan for your needs.